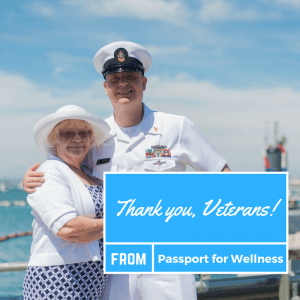 Happy Veteran’s Day from Passport for Wellness! We appreciate our American Veterans! Thank you, Veterans, for your honorable and dedicated service. We want veterans to get all of the benefits they need and deserve. Military.com has a list of Veteran Benefits that you can explore, including Healthcare Benefits, State Benefits, Memorial Benefits, and more. From information on care for conditions like Traumatic Brain Injury and Mental Health & Wellness, to an explanation of what your state has to offer, visit the Military.com Veteran Benefits guide today. Did you know that seniors can get a lifetime senior pass to the US National Parks Pass Information site today to learn more. US Citizens or permanent residents aged 62 or over can take advantage of this amazing benefit! It can be obtained online, in person at a federal recreation site, or through the mail. In some cases, it even provides a 50 percent discount on some amenity fees charged for facilities and services such as camping, swimming, boat launch, and specialized interpretive services. Time to explore and get active! Senior Advisor is one of the Internet’s largest senior resources. Located at SeniorAdvisor.com, you can get access to pricing, ratings, and 100,000 reviews on senior-related services, including in-home care, Alzheimer’s care, Senior Real Estate, a variety of Independent Living options, and more. Since today is Veteran’s Day, we’ve also included the big list of meal discounts, shopping coupons, and more, exclusively reserved for Veteran’s on this holiday. To see the big list of discounts you can take advantage of today, please click here. 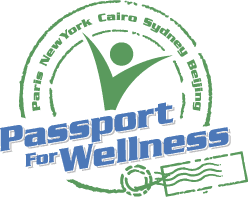 Passport for Wellness is the #1 video streaming exercise and active aging program for seniors. Strengthening and supporting seniors physically, mentally, and socially, Passport for Wellness is available to seniors and their care facilities worldwide. Please visit us for more information on our Facebook for the latest updates!